Hello, I'm Gregor and I put this site together. At first, you'll find an overview of recommended cutting machines, followed by a public poll and a general buying guide on cutting machine. Further down on this page, we do link to other well-written articles and reviews about cutting machines. At last, you'll be able to weight in your own opinion in the comments section. If you also want to vote on the best cutting machine, click here to view the poll. You may be surprised to learn that the tools we can’t live without--scissors in all sizes, weights, designs and styles--were invented by Mesopotamians between 3000 and 4000 years ago. Over time, odd cutting inventions emerged from rudimentary contraptions based on scissors began evolving. 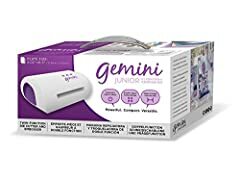 Both businesses and consumers came to count on this tool's ability to act as a safe, two-blade aid that gave users precise control over the way they cut everything from textiles to chicken parts. Sixteenth-century European households were proud possessors of the first spring-style scissors and that century heralded the greatest number of functional and design upgrades. From specialty tools like hair clippers and garden implements, all based on two-blade engineering, scissors remained irreplaceable cutting tools--until some genius paired them with industrial die-cutting technology and the cutting machine was born. What is a cutting machine? Cutting machines are offspring of die cutting technology, a process of using a “thin, razor-sharp steel blade that has been formed into a specific shape or pattern,” say industry folks who compare these tools to sophisticated cookie cutters. The objective is trimming stacks of materials to exacting standards and then cloning that shape to produce multiples like 100 flower shapes or 200 duck shapes. Each die cut is perfectly identical. Imagine how long it would take someone with a scissors to cut that many pieces—and can you fathom how hard it would be to make each one precisely uniform? No wonder cutting machines have become irreplaceable to crafters and artisans eager to churn out as many copies of a single shape as time and material allow! You save time. Use your imagination. And your ability to produce an endless supply of exact shapes is infinite. What can you do with a cutting machine? A better question might be, what can’t you do with one of these engineering marvels? Crafter Elaine Luther uses her Cricut cutting machine to trim un-fired sheets of metal clay into different shapes that are fired in a kiln to produce gorgeous jewelry, art and decorative accessories. This unique use of a standard cutting machine isn't unique, say artisans whose clever ideas land on the Craft Industry Alliance website. 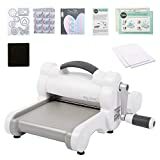 If you’ve a mind to do so, you can make 3D artifacts by rolling clay through a pasta machine so it’s paper thin, then cutting it into shapes using one of these machines. Cindy Pope uses her machine to make leather die cuts mixed with metal clay cuts to produce one-of-a-kind bracelets that are her trademarks. Pauline Purdum's claims to fame are reusable stencils for kids’ projects, made out of foam sheets. The list of materials one can use with cutting machines just keeps growing! If you’re new to cutting machines, you could find it easier than you believe to identify and select a product just right for the projects you want to produce. These tools come in a variety of price points, but don’t let cash determine your pick. Go for the features you'll use most and you’ll wind up with exactly the machine you need. Affordable, clever, versatile and extremely popular with crafters, the Silhouette Cameo offers unlimited opportunities to churn out creative ideas because you’ll use PC- or Mac-compatible software to download thousands of designs and output them via the 12-inch cutting mat. 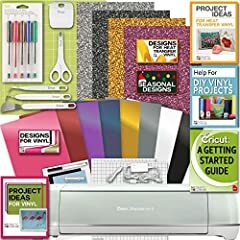 Produce cards, craft projects and fashion accessories using your creative ideas. Your projects can be up to 10-feet long and fashioned of paper, vinyl, fabric and many other materials that are fed into the machine and output—even etched glass can be achieved using a Cameo. 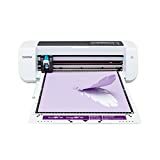 Known for precision cuts, smooth edges and intricate trims, this Silhouette model has been a popular pick since it was first introduced to the crafting market and this machine's fan club keeps adding members! Pros -Great for managing a long list of cutting projects and the company stands behind its warranty. -You can trace designs and upload them to your computer, so your designs are 100-percent original. -Even if your Internet signal goes down, you can still work on the machine. Cons -Design Studio software will take a little time to learn, so prepare to be patient. -The Cameo may cost more money than you’ve allocated for this purchase. 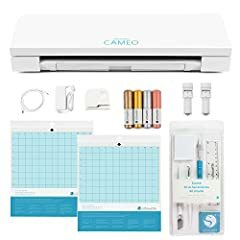 This amazing cutting machine costs nearly twice as much as the aforementioned Silhouette Cameo, but if your projects involve thick materials that the Cameo may struggle to cut, you’ll want to come up with the money—especially if this machine is destined to drive an at-home business. 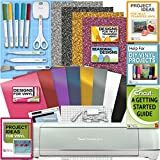 Cricut machines draw and cut in synch so you don’t have to stop and change blades or lose time if you’re trying to produce crafts in volume. Further, you can cut unorthodox materials that can trigger more innovation, like chip board, balsa wood and leather. Yes, this machine offers you that much pressure to deliver clean cuts! Pros -The amount of pressure and force this machine delivers is formidable. 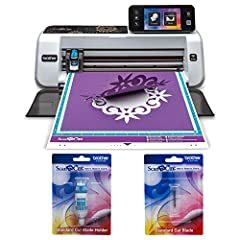 -Cuts fabric using a rotary blade for faster, more precise edges. -Highly rated by users who love improvements made over the previous Maker model. 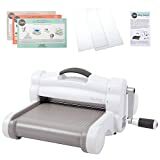 Cons -If you use this machine to cut fabric, you will have to purchase a Cricut fabric mat. 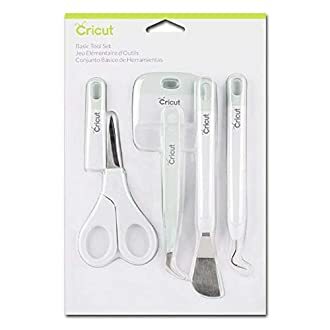 -You may not be able to use ink cartridges from older Cricut models unless you purchase an adapter. 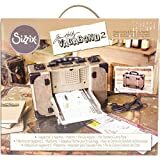 Once upon a time, the company producing the Sizzix made metal dies for hand-cranked machines and the brand was barely known to crafters. But as machine cutting has become a more popular hobby—and for some, a home business—the company turned its attention to designing electronic machine for at-home use and the rest is history. You will use simple software products to drive projects and the range of fonts available to you to cut letters and words is only limited by the number of fonts on the computer that interfaces with this machine. Cut paper, vellum, card stock and more with this sleek tabletop cutter that’s also pretty affordable. Pros -If you seek simplicity, this machine makes a great choice. -Buy affordable, proprietary images from the company to churn out numerous creative projects. 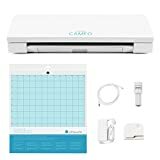 -The cost of the eclips2 is very close to that of the Silhouette Cameo so do compare features before buying. Cons -The mat only accommodates graphics that are sized up to 12- x 12-inches. -If you seek lots of extra features, this machine may not be an ideal fit for you. The ScanNCut2 is an upgraded version of an earlier model that needed fine tuning to compete with the big boys. Brother pulled out all stops and it’s now one of the most highly-rated cutting machines on the market for discriminating crafters. The ScanNCut2 features are state-of-the-art and include a 4.85” LCD touch screen plus 631 built-in designs. The machine’s wireless network stands ready to power up your projects, so even if you’re not connected to the Internet, you can still work. Further, the scanner processes images at 300 dpi. Pros -User-friendly LCD touch screen gives you myriad functions at a glance. -High-res scanning ability means the projects you cut will have crisp, clean edges. -On-screen editing works with Microsoft Windows Vista, Windows 7, 8, 8.1 and 10. Cons -Not the machine you want if your projects are larger than 12- x 12-inches. -If you use a Mac operating system, this cutter won't work for you. 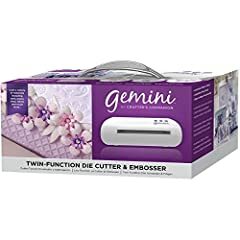 If you’re seeking a small-but-mighty crafting tool, consider the Gemini for more reasons than just the ability to cut. 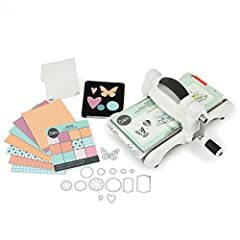 This relatively affordable machine embosses, too, so you can go the extra mile when churning out cards and other craft projects. Fast and quiet, this tool is easy to control; pause, reverse and resume using easy-access push buttons as you work. 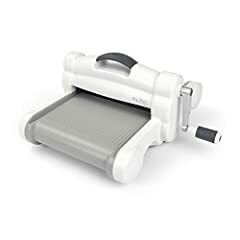 While this is the least sophisticated cutting machine in this review, consumers find it a small, handy project accessory that produces multiple dies at the same time via the 9- x 12.5-inch platform. Pros -Affordability and ease of use make this a great pick for beginners. -Embossing capability makes a creative add-on feature that allows you to custom-design projects. -The price won’t clean out your hobby supply and equipment budget! Cons -Doesn’t handle thick materials very well. -Consumers have complained about plates warping not long after acquiring this machine. New: Our editorial list of additional articles. We decided to gather informartion all around the internet and present you a list of helpful, external links to interesting reads about the best cutting machines and their reviews and guides. You're not convinced by the previous writings about cutting machines? Of course you can just choose by visual impression, that's why we present you all our chosen products at a single glance. A click on any image is enough to open an external link to the best offer we could find. Finally, we want to present you our rating criteria for our cutting machine comparison, so you can better understand and comprehend our recommendations and the rating process itself. Furthermore, we still ask you to keep your eyes open for short term deals in order to make some great bargains with cutting machine in 2019. Published by G. Krambs on StrawPoll.com (last update on 2019-04-18 08:02:05). 17 of 26 readers found this article helpful.